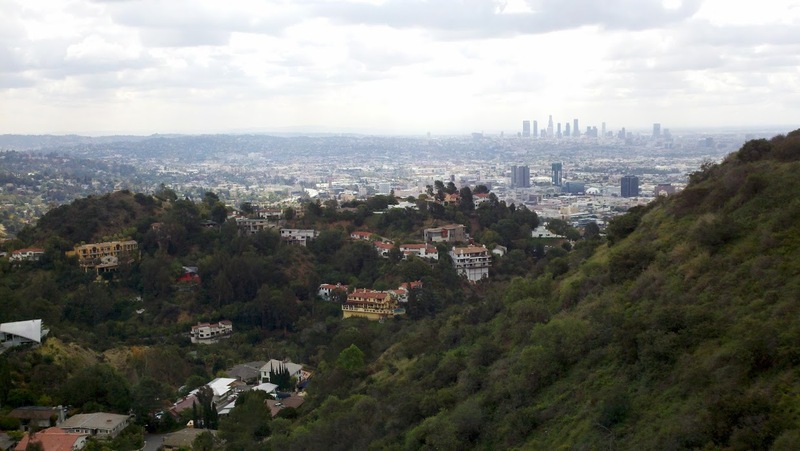 Runyon overlook of my city. 1. I caught a few minutes of Ellen yesterday before the President busted in with his Afghanistan speech. My favorite talk show host/comedian was chatting it up with Jessica Alba (the only reason we left it on is because our “Hawaii 5-0” fave Scott Caan was up next). I’m not really the biggest fan of Alba’s, I mean, what has she done really outstanding in the world of television and movies? But I have to say I love her new business venture The Honest Company. Babies are not in my short-term future, but I have a close friend who is pregnant so I immediately sent her an e-mail about it. Check it out and best of luck to Alba and Honest! 2. Dogs in cars. Need I say more? 3. Uggie, the star of the Oscar-winning picture “The Artist” is in a new ad campaign for PETA. Love it. I had no idea he was a rescue, and though PETA can be a little over-the-top sometimes with their animal rights campaigns, a poster that supports adopting pets is something I can 100% get behind. Go Uggie. 4. My logo designer for Rascals, Inc. has a cute blog over at her website Duk Design and she highlights one of her previous clients Shannon Reed selling candles on Fab.com. My brother’s been sending me links to Fab.com for months, but I have yet to sign up. 5. When we were in Jupiter visiting MaineMan’s parents, I discovered these incredible birdhouses at the surf shop Blueline. Check out Patty Allshouse Linares’s Facebook page for some of the most beautiful and awesome ocean/beach-themed birdhouses you’ll ever see. Makes me want to get all crafty! This entry was posted in Uncategorized and tagged blueline, crazy birdhouse lady, dogs in cars, duk design, honest company, honest jessica alba, keith hopkin, patty allshouse linares, rascals inc, the honest company. Bookmark the permalink. I’m not sure if they’ve published print or just the apps/digital. Long process. Hope you are well. I need to start blogging again! I’m enjoying catching up with you again. ooh wow congrats to your friend! will absolutely check out her website. hope you are well, janice! gosh how long have we been blog buddies? time flies!